Join for a evening of painting, sipping, chatting and mingling over the love of Tupac Shakur aka 2pac music at The Inkwell Centre. 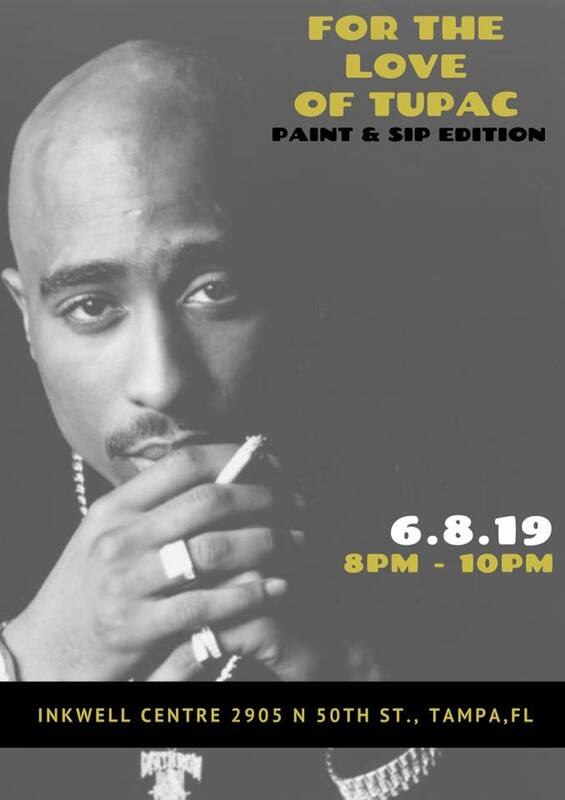 For The Love of Tupac Shakur aka 2pac - Paint and Sip Edition is an evening designed for Tupac Shakur aka 2pac fans to unwind,share laughs and positive vibes, and celebrate his birthday over beverages, appetizers, as we paint 2pac themed artwork. This year, Tupac Shakur aka 2pac would have been 48. We will also pay homage and vibe to some of the influential and greatest west coast artists in a West Coast Salute. Visit www.eventzilla.net for more information.